That's all from this game. Do join us on Wednesday for the clash between Bengaluru FC and NorthEast United FC at the former's home ground at 1930 IST. Until then, it's goodbye and cheers! The Club Award is shared as the match ended in a draw. Ferran Corominas gets the Limitless Player of the Match Award. The Winning Pass of the Match Award goes to Zaid Krouch and Michael Soosairaj receives the Emerging Player of the Match Award. Subrata Paul, undoubtedly, is the Hero of the Match for his outstanding saves. The referee blows the whistle and that will be it. 0-0. Both teams share a point each. This was a much better half than the first one. 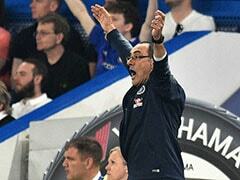 Both teams were motivated going forward and as a result, plenty of chances were created. Although once again they lacked the finishing touches in front of the goal. Ferran Corominas got the best possible opportunity to score but Subrata Paul made an outstanding diving stop to deny him in the 84th minute. He was put under immense pressure in the dying minutes as FC Goa went berserk with attacks after attacks but they failed to go past the star goalkeeper. The touring team also got quite a few chances to break the deadlock but they were also below-par with their finishing. In the end, it was a fair result, one can say. The points table doesn't observe any shuffling as both sides remain where they were at the start. Lenny Rodrigues sprints in exceedingly well from outside side the box, beats the defenders, although he's not able to produce a cross as the ball runs down the corner line. 3 minutes have been added to this half. Will we have a winner? FC Goa knocking on the door! 8 to 9 to 10! Great game play. Ferran Corominas frees up Manvir Singh on his right who spots the opportunity to nudge it in the path of Brandon Fernandes. The midfielder slides forward with his kick but once again Subrata Paul is standing there like a rock. Mourtada Fall and Carlos Pena have a bit of one touch passing in the opponent's D. Finding Pena from the left flank who fires a shot on target but Subrata Paul was standing there as a wall and blocks off the shot. Paul saves the day for Jamshedpur FC yet again. Subrata Paul has saved his team from going down! Mandar Rao Dessai at it again. Cuts back inside the box from the left and then finds Ferran Corominas right in the middle. The striker shows his class to fox a couple of defenders and then pulls the trigger. Paul although is on top of his game. He dives to his left and stops the ball from committing the crime. Phew, what a save! FC Goa get the ball from the midfield. The substitute Zaid Krouch again finds the ball in front of the crossbar. But the Jamshedpur FC defenders did well to leave no gaps in the defense. In the end, Zaid blows the ball as well as his chance over the bar. Jackichand Singh is off. Manvir Singh takes his place on the field. FC Goa in some form. Jewel of a passing game! Zaid Krouch, the substitute, finds himself in a gold mine as he shoots that one on the right of the keeper. But it's stopped. You have to score these. Should have nailed this one! Sergio Cidoncha sets this up with a nice pass to his right to Farukh Choudhary. He then gets ahead of the defensive line and sends in a cross right at the face of the goal. Mario Arques rushes forward but only manages to boot it over the bar. Michael Soosairaj produces a nail-biter of a cross towards Sergio Cidoncha from the left side of the box. Sergio heads it on target but doesn't put much power on it. The keeper comfortably collects it. In comes the star player, Tim Cahill in place of Pablo Morgado. Jamshedpur FC bring in an attack through the right flank. Robin Gurung is the man there to make a cross to Mario Arques. Mario bends back to connect the header but was unable to keep it on target. The ball goes above the goalpost. Malsawmzuala replaces Raju Gaikwad for the visiting team. Hugo Boumous gets a loopy ball from his teammate in the box. A beautiful show of skill from the lad. He pulls out a rainbow to skip a couple of defenders but fails to do any damage. Mandar Rao Dessai has the ball at his feet on the left as he runs ahead and then releases a pass right in the middle of the box. Ferran Corominas charges forward, puts in a slide but fails to reach at the end of it. Lenny Rodrigues speeds in with the ball from the middle of the park and passes it to Ferran Corominas on his right. The Spaniard rushes forward, cuts in a bit and then finds Jackichand Singh inside the box. He goes for the shot but fails to keep it on the mark. FC Goa concede a corner. A ball comes in the game off Sergio Cidoncha foot but he fails to catch his teammate. Defended out but still Goa is not safe. Pablo Morgado has the possession of the ball and puts it in but once again it's cleared off. Edu Bedia steps up to take the free kick from outside the box, swings it in with his left foot but fails to keep it on target. Good attacking start by Goa in this second half of the game. They progress towards Jamshedpur defense but a tackle on Hugo Boumous by Tiri leads to a free kick in a dangerous position. Can they produce anything from here? The whistle goes off. FC Goa set the ball rolling in this half. No changes to report as of now. The referee blows the whistle to bring a close to the first half. It remains goalless. 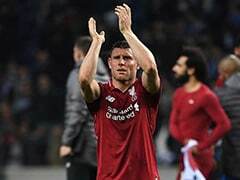 Both teams tried their best but were not clinical in the final third. This half was played mainly in the midfield with both sides struggling to create much pressure on the defenders. Let's hope for a better attacking next half. Do join us in a short while. 2 minutes added to this half. A beautiful pass from Hugo Boumous to Mandar Rao Dessai who carries it further in and takes a shot with his left foot. But the shot flies off away from the crossbar as he was kept under pressure by Jamshedpur's defenders. Sergio Cidoncha takes a short corner and plays a one-two with Michael Soosairaj before firing in a cross at the far end. Nothing much happened from there. Goa build up a good passing game around the right flank. They are trying to get in with the ball but a tackle by Seriton Fernandes stops the move. Mandar Rao Dessai nudges it forward at the feet of Brandon Fernandes who runs in a bit and then takes a shot from outside the box. Is off target! Mandar Rao Dessai finds a good ball right in front of the goal. He rockets it towards the target from outside the box but it flies higher off the goal post. Lenny Rodrigues runs in with the ball through the midfield and sends in a good pass to Ferran Corominas in front. The striker enters the box but takes a heavy touch on the ball, and Dhanachandra Singh makes the clearance after that. A bad pass in the middle of the park by FC Goa and Sergio Cidoncha wins the ball. He tries to barge in but Lenny Rodrigues puts his leg in his way and brings him down. The ref flashes yellow. The resulting free kick is taken by Mario Arques and his shot just misses the target. Dhanachandra Singh puts in a beautiful cross in the D from the left side but it's headed out by Carlos Pena. The ball still stays with Robin Gurung who charges in but is successfully dispossessed by one of the defenders. A sliding tackle by Hugo Boumous on Michael Soosairaj and the latter is down on ground. The ref calls foul but keeps his card in the pocket. Brandon Fernandes with a nice through pass on the right sets Jackichand Singh free. He dashes inside the box but Dhanachandra Singh puts in a smart sliding tackle to avert the danger. Sergio Cidoncha steps up to take the set-piece, swings it inside the box but Hugo Boumous makes the clearance easily. It's been a clumsy play so far. Both sides trying to develop some moves but the finishing touch is lacking. 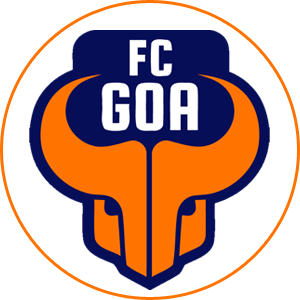 FC Goa build a move from the right side of the field. Jackichand Singh has the possession of the ball and he sends across a nice cross right at the face of the goal. But there is no taker for it. Brandon Fernandes eventually gets to other end of it and tries chipping it in the middle of the box. It gets deflected towards Edu Bedia who heads it straight to the keeper. Both teams trying to settle in. Possession game in the middle of the park going on with nothing substantial to report. Farukh Choudhary breaks in with the ball from the left wing. He tries to enter the box but is tackled by the defender. Positive start for the visiting team. 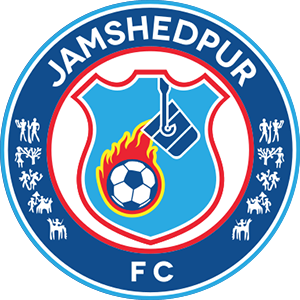 Jamshedpur FC set the ball rolling in their blue jersey. Let's football. FC Goa win the coin-toss and pick the side. They will operate from right to left in this half. The players are in the centre to sing the Indian National Anthem. Subrata Paul (GK), Raju Gaikwad, Tiri (C), Mario Arques, Pablo Morgado, Farukh Choudhary, Robin Gurung, Sergio Cidoncha, Memo, Michael Soosairaj, Dhanachandra Singh. Mohammad Nawaz (GK), Hugo Boumous, Mandar Rao Dessai (C), Ferran Corominas, Brandon Fernandes, Jackichand Singh, Carlos Pena, Seriton Fernandes, Edu Bedia, Lenny Rodrigues, Mourtada Fall. Match 63 is a fascinating one, especially given how the battle for the top 4 has intensified. Only 1 point separates the two teams in question. 4th placed FC Goa host 5th placed Jamshedpur FC in a what promises to be an exciting contest. The head-to-head record is 2-1 in Goa's favour from the 3 matches played so far, but this campaign gives the feeling that the past does not matter. The two team in questions have been going through a somewhat similar trajectory, and are coming on the back of a victory in this battle. Everyone know Goa are a free-flowing attacking side, so it will be a challenge for the Miners' defense in how they go about stopping the deadly trio of Coro, Bedia and Boumous. The visitors also face another challenge in the form of Carlos Calvo's suspension. He's been instrumental in Jamshedpur's success so far and his numbers will have to be matched from midfield. A thing to remember is that, the second half could decide the fate of this game - as both sides score and concede a lot in the second 45. One thing seems for sure, is that everyone will be entertained from the first minute till the last.